Disasters can come anytime and a safe haven is the first place we are going to find. Problems arise when we could only find a bit of a safe place to shelter. Now, a new discovery helps answer to solve the problem. A rescue capsule called The Survival Capsule created as an effort to provide protection to humans in the event of natural disasters. 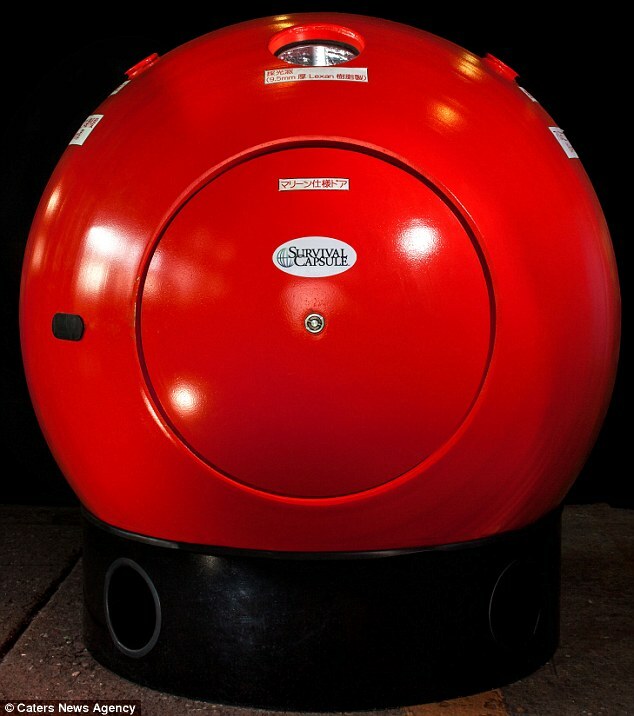 The Survival Capsule is a protection system that the giant ball-shaped and designed to withstand disasters like tsunamis, tornadoes, hurricanes, and earthquakes. The capsule is designed to provide better protection than the traditional safe house in case of emergencies, both as individual or family. Julian Sharpe, originator of The Survival Capsule, said the capsule provides the option to get a security system that is easily accessible, day or night, and actually provide security to the family. 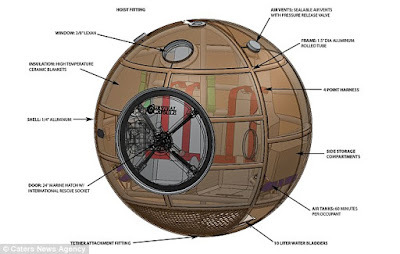 The Survival Capsule comes with many features include seating, storage, water storage and water tanks, internal lights, GPS, a door that can be opened from the inside and the outside, a window with a submarine standard. The capsule is designed with a hard aluminum frame, serves to keep the passengers warm. Capsule serve to make anyone inside survived while waiting to get the help of rescuers. Meanwhile, the system improvement using the player at the bottom of the water to prevent the capsule spins up and down. This capsule is also designed to be able to float if the water rises too high, as occurs when a tsunami. 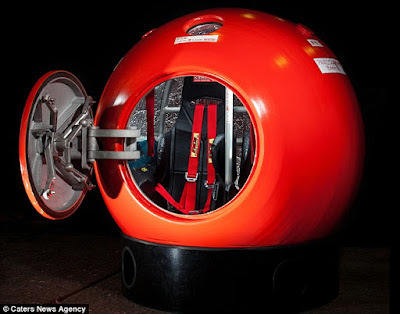 Capsule can also be tethered to avoid drifting along with the passengers inside. Julian explains, the capsule was designed by a team of aerospace experts who have a goal to make the capsule as strong as possible and durable. In early trials, the designer uses a similar program used in the aerospace industry to test the strength and durability of the capsule. He added, the capsule intended to withstand the impact of a disaster as long as the collision with a sharp object, heat exposure will be available in several variations of capacities, ranging from a capacity of two people, families, up to 10 people at once. It could also be ordered to add an entertainment system and toilet. However, until now, the price has not been released in the market. The initial concept behind the making of this capsule turns inspired by the tsunami that struck Indonesia especially Aceh in 2004 with the death toll reached up to 225,000 people.